Every year around this time I am asked for the “best” fitness tips to make the new year a healthy one. Over the years this list has changed and evolved but for the most part if you are a Fire Rescue Athlete you need to be doing these 10 things. Use these “Tips” to make 2013 a Fit, Healthy and Lean Year. 1. Set a goal– Set a goal, write it down, make it specific, tie an emotional reason to the goal and give it a deadline. The goal can be as easy as “working out every shift” or losing 10 pounds of fat. 2. Live YOUR goal– Believe that you can and will achieve your goal. Discover the hurdles that have been restricting you of your goal…..forget them, and GO LIKE HECK. Don’t be afraid to share your goal with your crew and loved ones, they can help you get there. 3. Drink water, lots of water– Water is the essential element our body needs for basically every metabolic process. Try to consume half your body weight in ounces. So if you weigh 180 pounds, try to get 90 ounces of water. 4. Eat often– Eat 5-6 meals per day. Utilize smaller meals and snacks to help keep your metabolism and muscle building going throughout the day. Space the meals every 3 or 4 hours. 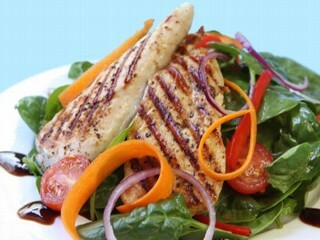 Eating smaller meals boosts metabolism, makes you feel satiated and helps build lean muscle. This step takes some planning, especially if you have a busy shift, try to pack some nuts or fruit in case the day gets busy. 6. Have a Pre- and Post-workout meal– Remember proper pre- and post-workout eating routines can greatly enhance both the intensity and stamina during the workout and the recovery after. Utilize shakes and snacks for pre- and post-workout nutrition. You never want your body to be in a fasted state, especially when you workout. You especially want to make sure you get the proper nutrients to your body immediately following. 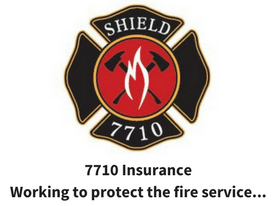 This is especially important for the fire rescue athlete, you never know when your going to be “called” so be ready. 7. Take control of your nutrition– The number one reason people don’t eat properly and sabotage their fitness programs is because of poor planning. Be an educated shopper; read labels and plan ahead. You should know what makes up the food you put in your mouth. Utilize a calorie calculator to figure your energy requirements and log your food once in a while to insure you are eating the right amounts. Make better choices and be a better shopper. Most of the foods that are acceptable are found on the outer edge of your grocery store. Stick to the outsides…and prepare ahead of time. Oh yeah, take a day off too. 8. Warm-up and work your Core properly– You need to thoroughly warm-up and perform core exercises 3 times per week before resistance training. The warm-ups will increase your flexibility and prepare the body for the workout. 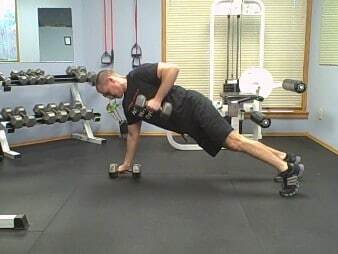 The core exercises will help prevent injury and “yes,” give you definition in the mid-section. 9. Perform short, effective, full body strength workouts– To build a strong and lean body you need to strength train consistently and efficiently. To work efficiently, you must incorporate exercises that challenge the entire body and rest intervals that challenge the heart. Strength training MUST be performed with proper form and with a moderate lifting tempo. 10. Burn fat with cardio intervals– The key to cardio burst (interval) training versus traditional “cardio” is that it maximizes your effort and minimizes your time. Interval training can boost metabolism, not just for the duration of the exercise, but for the entire day. Unlike traditional cardio workouts, cardio bursts focus on quality not quantity. No need for long, boring bouts of cardio! 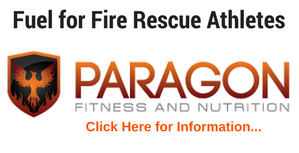 Intervals also mimic the work on the fireground so get creative with them. 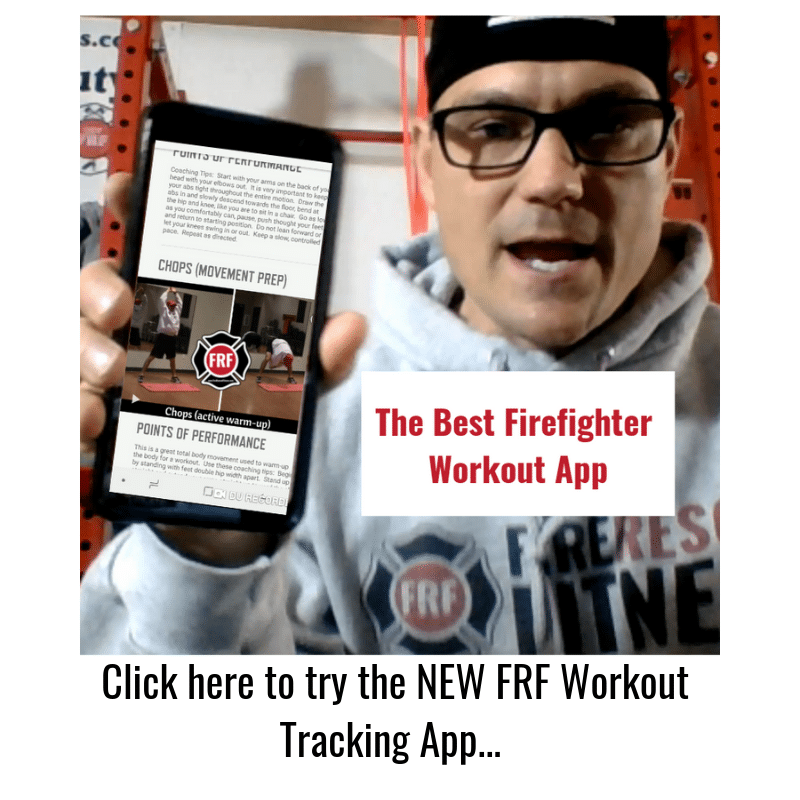 Bonus #11, Join the Fire Rescue Fitness Nation and get FREE workouts and fitness tips created to meet the demands of the Fire Rescue Athlete. Join by clicking HERE.